Great place to stay for the flight out of Guatemala City. 30 minute drive but Hostel manager arranges safe taxi for you. The hostel location is close within main centres and fast food. Very peaceful in the hostel and very affordable. Breakfast is included and the food is great! 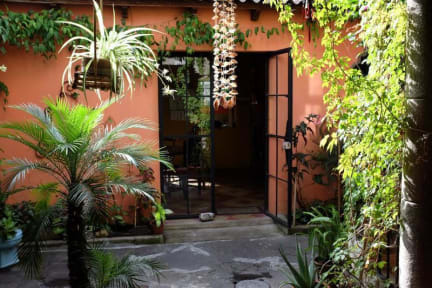 La Coperacha is a very nice and beautiful hostal. I stayed for work for a week, and would for sure go back and stay there again. The colonial style house has only a few very spacious rooms, so it is never too crowded. The staff is super nice and helps you with anything. Highly recommended! La Coperacha was an excellent place to stay. It was very clean and the hostel had a lot of character. Lucien, the manager, is a fantastic host. He is very helpful and is very knowledgeable. He organized taxis for us when we needed them and also personally took us to the Litegua bus station to book tickets to Livingston. The breakfast served was also very delicious. 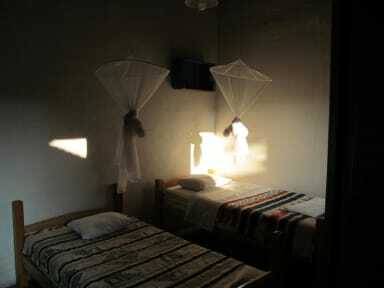 The hostel rooms were clean and the atmosphere was very relaxing and quiet. I will definitely stay here again when i visit GC. We got along with the hostel manager Lucian really well. He is very welcoming and happy to organise and/or advise guests on travel throughout Guatemala. The rooms are spacious and clean and the inclusive breakfast is great. The location is within walking distance of the tourist sites and main streets. Security is good. My partner and I stayed at La Coperacha for one night after flying into Guatemala. It was so nice seeing the taxi driver waiting for us outside with a sign as Lucien, the manager, had arranged it for us for a reasonable price. Our private room was super clean. Can only rave about the delicious free breakfast. Lucien helped us arrange a shuttle to Antigua and even walked us to meet the shuttle driver and stayed there (almost an hour!) until the driver arrived (bad traffic). Highly recommend! The place was very clean. It's next to the police station so it's very safe. The wifi was the fastest I've had in all of Guatemala. It was a lovely stay. I was nervous when the shuttle drivers laughed that we were coming here, but it was a sweet place. Quiet, charming, a relaxed old world flavor. We had a brisk 20 minute walk to a lovely tiny Mayan restaurant per suggestion by the hostel manager. He also arranged our taxi transport to the airport. The double room with bath was very simple, but clean and met our needs. Breakfast was delicious. We stayed a quick one night - arrived late & left early. Owner took us to the bus station which was awesome as required multiple bus changes to get there. Decent facilities, wifi a little weak, good breakfast. La Coperacha was extremely hard to find. The owner was friendly and our room was clean and quiet. The bathroom was small. I did not like the area the hostel was located and was a bit farther from the airport than I would have liked. The experience was a bit soured for me because I had an episode with the owner, who had the radio or tv on all day next to my room while drinking can after can of beer and smoking on the premises. I asked if there could be some silence during the night because my head was hurting from the French newscasts audible in my room all the time, and, while obviously drunk, he said "Je le croix pas…trou du cul", and then made "pow pow pow pow pow" sounds with his mouth. Great value for money otherwise.